The family ties between Stephen King and Joe Hill lost their importance a long time ago and hold no relevance what so ever when it comes to the fiction written by Joe Hill. It is just a biographical detail and nothing more. It cannot be otherwise since Joe Hill is a very powerful writer, talented and brimming with imagination, and he proved that with the short stories collection “20th Century Ghosts”, the novels “Heart-Shaped Box” and “Horns” and the graphic novels “Locke & Key”, “The Cape” and “Road Rage”. 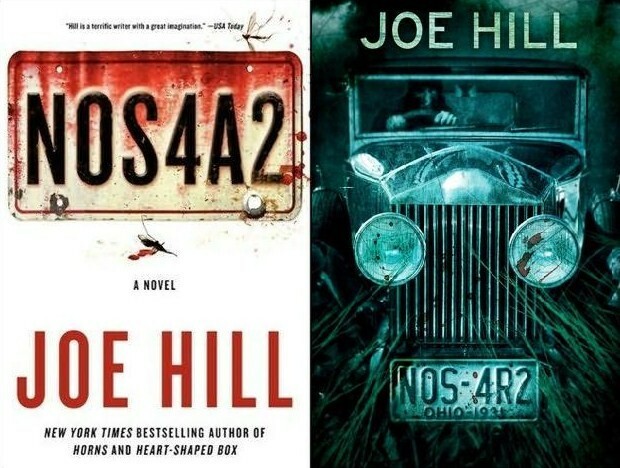 Last month a new novel signed by Joe Hill was released in the US by William Morrow as “NOS4A2” and in the UK by Gollancz as “NOS4R2”. “NOS4R2” is one of my most anticipated novels of 2013 and I am little jealous on those who will be able to attend a book launch such as the one that will take place in Edinburgh on May, 31st. Especially when a signed copy could be involved. Don't miss the opportunity to see horror writer Joe Hill at The Pleasance Theatre for the only Scottish launch of Joe Hill's new book NOS4R2. He will be taking part in a Q&A (hosted by Jim Mcleod, the editor of Ginger Nuts of Horror) as well as taking questions from the audience. Joe will also be reading an extract from his new book and signing for fans. For those who can't make it we are taking pre-paid orders for signed copies. Joe Hill is the author of novels Heart-Shaped Box, Horns and 20th Century Ghosts which were all well received by horror fiction fans. Horns is currently being made into a movie starting Daniel Radcliffe and his graphic novels The Cape, Road Rage and the award-winning Locke & Key have had fans enthralled. NOS4R2 has now secured Hill's place as top of his generation in the world of horror and supernatural fiction. The event takes place on Friday 31st May 2013 at 6:30pm at the Pleasance Theatre. NOS4R2 is an old-fashioned horror novel in the best sense. Claustrophobic, gripping and terrifying, this is a story that will have you on the edge of your seat while you read, and leaving the lights on while you sleep. Will your soul be safe? With this horrific tale of Charles Manx and his Silver Wraith will you enjoy Christmas ever again? Tickets are £5 and are available from the front desk at Blackwell's on South Bridge or by telephone for credit card purchases on 0131 622 8218. I would have loved to take part on this event, but for the time being this is extremely difficult to achieve. Well, to lift my spirit I will feature this video presentation of “NOS4R2” made by Joe Hill himself.